New Delhi: President Ram Nath Kovind, Vice-President Venkaiah Naidu and Prime Minister Narendra Modi on Wednesday led the nation in extending greetings on the occasion of Mahavir Jayanti. The President said: "Greetings to fellow citizens, especially to our Jain community, on Mahavir Jayanti. Lord Mahavira's message of peace and non-violence hold great significance today. Let us draw inspiration from his life to build fraternity in our shared society and world." The Vice-resident also wished the people on the occasion, saying,"I extend my warm greetings and good wishes to the people of our country on the auspicious occasion of #MahavirJayanti. Bhagwan #Mahavir's messages of non-violence, truth and universal compassion illuminated a path of righteousness and honesty." Mr Modi also extended his warm wishes to the nation and said lord Mahavir's teachings have spread harmony, brotherhood and non-violence. "Greetings on the auspicious occasion of Mahavir Jayanti. Bhagwan Mahavir is a shining beacon of a tradition whose exemplary teachings have furthered the spirit of peace, harmony, brotherhood and non-violence. May his blessings enhance happiness and well-being among our citizens,"he tweeted. Union Home Minister Rajnath Singh said his teachings of 'Satya', 'Ahimsa' and 'Kshama' continue to be the source of inspiration for the society and serves as the guiding principle for the welfare of entire mankind. Civil Aviation Minister Suresh Prabhu also wished, ?May Lord Mahavir, show us the path of peace and strengthen our commitment towards a harmonious & giving society. 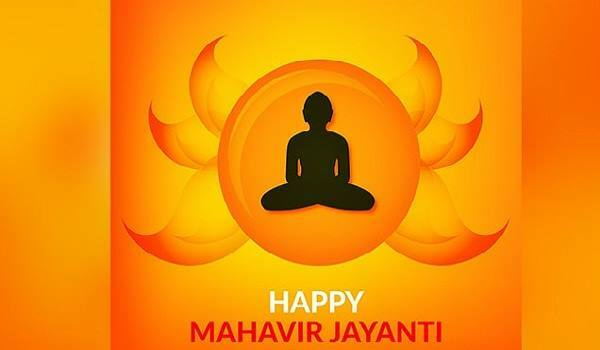 Happy #MahavirJayanti!" Congress president Rahul Gandhi extended warm greetings on Mahavir Jayanti. He said the 24th Tirthankar of Jainism, lord Mahavir's life, philosophy, truth, non-violence, and harmony are inspiring for all the people.